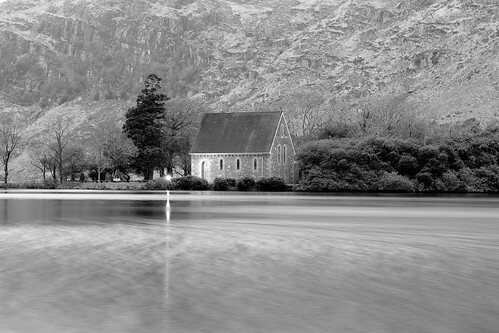 Toward the end of yet another tour around West Cork, we ended up (in quite good time) back at Gougane Barra. I had the intention of trying to re-create a previous shot, albeit this time during the rapidly failing light. It was great to be down there again, all the better that there was nobody around. Allowed me to break out the tripod and take a few long exposure shots. Later on this year, I intend on organising a meetup/photo-tour kind of event that’ll take in a few choice spots in West Cork. Keep watching this space for more details. 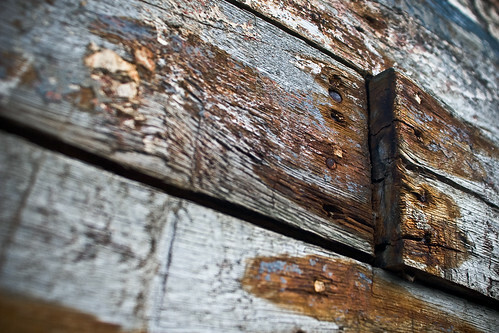 A board working it’s way loose on an old wooden fishing boat sitting on some very mushy seaweed in West Cork. Waiting to meet it’s maker? Either that or the future owner of the land it’s sitting on is in for a very large surprise. Oh dear, it would appear further inside information on the 2008 Irish Blog Awards long lists has leaked from Award HQ. The list is posted here, but for those of you that loathe following links, I’ll be good enough to swipe it and re-post it here. 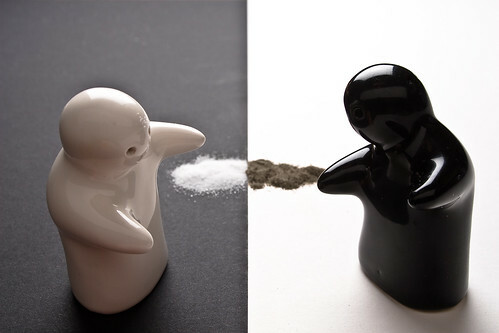 No, not a 1980’s hip hop group, this time it’s rather scary looking condiment holders. Here they are, posing for a little challenge on boards.ie. I could swear that sometimes when I open the cupboard, the white one is giving me the evil eye. Time has come to shed some gear and re-invest. So, with that in mind..
Canon 20D for sale. Approx 15k actuations on the shutter. Has seen very little use since I bought a 30D. It’s essentially my backup camera. Also included is the kit lens (18-55mm EF-S), battery grip (complete with AA battery caddy (power the camera using 6 AA batteries instead of the BP-511 battery pack). Also for sale is my Sigma 24-70 f2.8 EX. Very sharp, fast and built like a tank. It’s got a small mark on the barrel, some of the coating was rubbed off but it in no way impacts on the performance of the lens. In fact you’d barely notice the mark unless you were looking for it. The start of another year is upon us (well, a few days ago) and as has become the norm nowadays, it’s nominatin’ time again. Damien (again working tirelessly) is already formulating a plan for the 2008 blog awards. As a change of pace this year, instead of nominating my now pseudo-photoblog, I urge you to instead take a few minutes to browse the list of massively award worthy folks below and give them your vote instead. That’s just a quick browse through my most visited links. There are too many new photobloggers around now to keep up with, so instead I’m being a bit backward, enjoying my little darkened cave and sticking with the ones I know. Either way, any of the above deserve your nomination. Me, well I hope this year will be filled with more commercial work but hopefully will still leave me with enough time to get out and capture more landscapes than I’ve been able to in the last couple of months. 2008 is also going to be the year I finally develop a workflow and so end up spending a hell of a lot less time on the computer and more time filling the memory cards. Having said that, I’m sure I’ll still be saying the same once 2009 comes around. Anyway, have a good one!